As a designer, it’s important to keep an eye on what’s trending in all areas of design–fashion included! One trend I found has really crossed over and become very trendy lately is lace, something I am really fond of. Take a look at some of these examples and let’s discuss: do you love it, or hate it? I wanted to start off with something off-beat. This plant container uses the typical lace design in this beautiful metalwork that really adds a certain elegance to what would otherwise be just another potted plant. The same can be said for this dress! 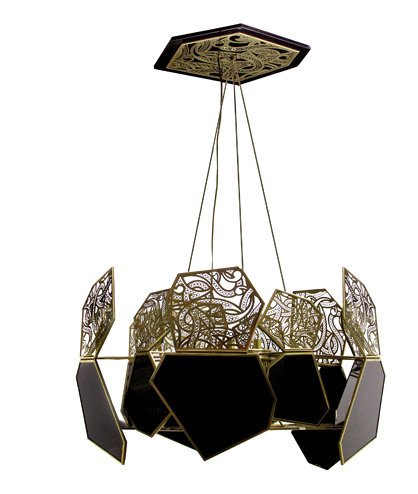 How unique and eye-catching is this lace chandelier? It is something you don’t come across very often, but the extreme detail in this fixture is really something I would love to include in my design work. There’s something about the proper handing of a black slip under a lace dress that really stands out, especially seen here with this stunning dress. 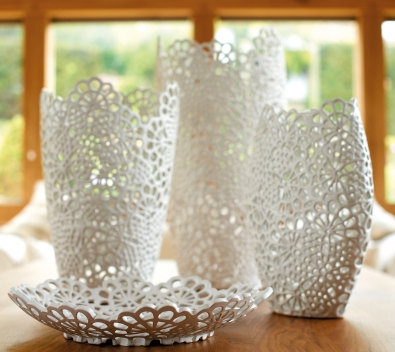 Even if it’s just adding simple pieces like these, a bit of lace adds a touch of elegance to any room. Lace meets mod dress, a classic match-up that still looks great today! Simple, yet eye-catching. 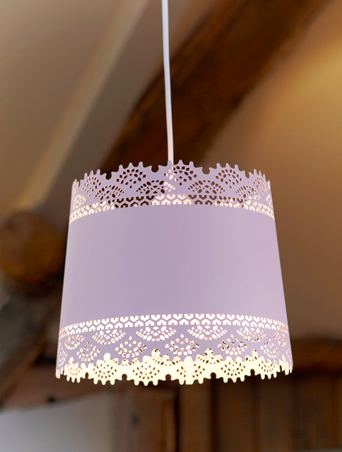 A beautiful way to bring light into a room without using traditional lamp shades! Speaking of eye-catching, these shorts are a perfect example of using several different patterns of lace in the same piece without overloading. Matched with a simple top (or, in interior design, matching lace with a simple pop of color) is a route you can’t go wrong in taking! Or, going the opposite route, add a touch of lace to a room that already has a color theme to add the feeling of delicacy that lace brings with it. I find it to be a tasteful addition to any home, but what I want to know is what do you think? 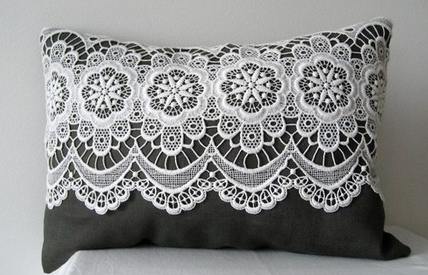 A smart design move, or is lace bringing grandma’s old tablecloth to mind?